I completely forgot about Flashback Friday in November, so I’m doing December’s now before holiday mania takes over and I forget again. Can you believe it’s almost Christmas?! Surprisingly, I have almost all of my Christmas shopping done already, so I’m pretty proud of myself. 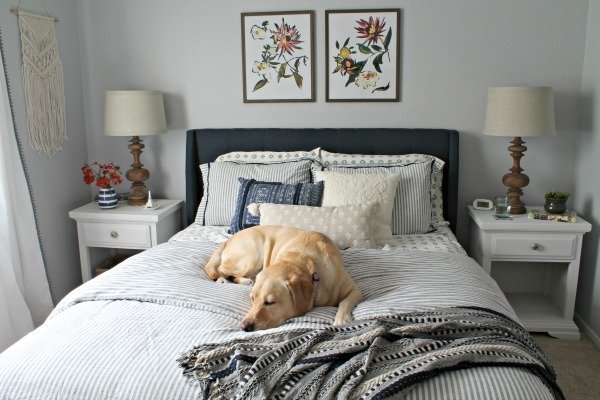 I still need to wrap everything though…Anyway, today we’re looking back at some of my favorite December posts from years past. This abstract art is one of my favorite projects and one that definitely took me out of my comfort zone. I don’t consider myself to be artistic whatsoever, but I’m really happy with how this abstract painting turned out. I took it down to hang my travel gallery wall, so sadly it’s just sitting my closet right now. I’m still trying to figure out another place to hang it. I make this peppermint bark almost every year…it’s so easy! I end up eating a lot of it myself, but it also makes a great small gift for neighbors, coworkers, friends, etc. Wow! 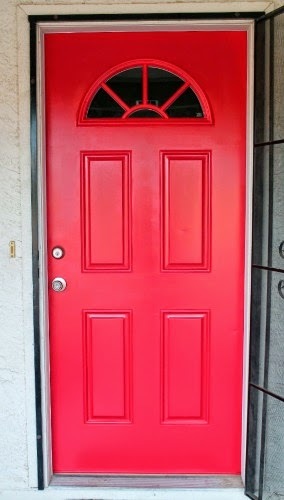 I didn’t realize it’s already been 2 years since I painted our front door red! I still love the color and the HOA hasn’t busted me yet, so I’m still really happy with my decision to paint the door. The paint has held up really well too…seriously, it looks just as good as when I first painted it. This isn’t my favorite Christmas mantle that I’ve decorated, but it was our first Christmas with both dogs, so it’s a special one. This year I’m using those white angels on the console table in the living room. It’s nice to have another long space to decorate! 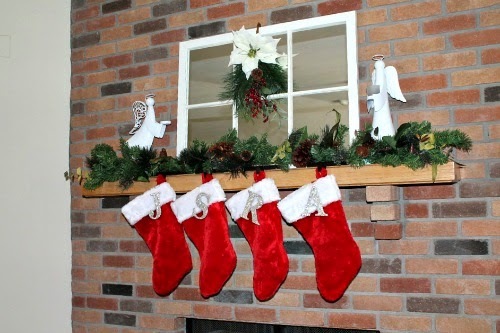 I’m still working on this year’s mantle. Hopefully I’ll have that for y’all next week. 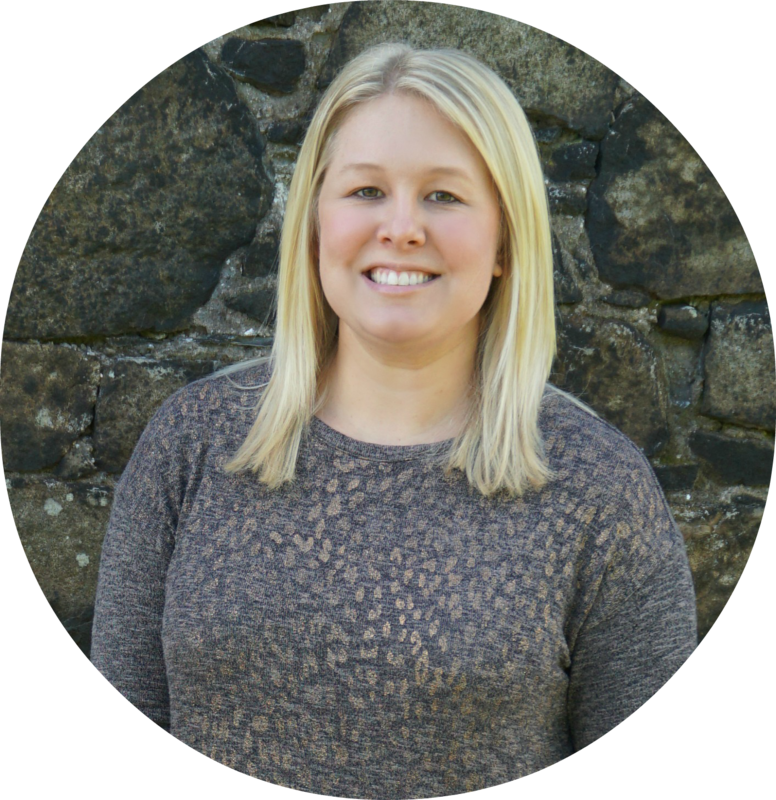 Time to go WAY back to December 2011 – my first year of blogging! Three years ago I participated in the 12 Crafty Days of Christmas at Before Meets After and I shared how to make cinnamon applesauce ornaments. They are super simple and cheap to make. 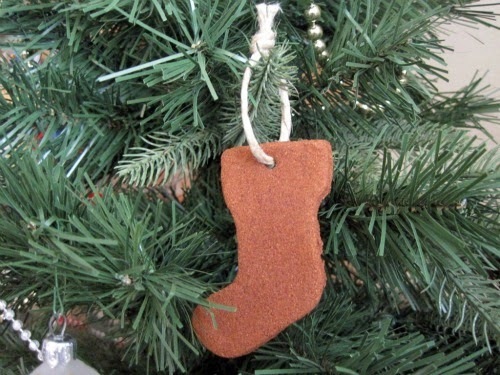 And now that I think about it, I still have a few of the ornaments that I made for this post! I’m kind of surprised they survived this long. Every year I make a bunch of different treats and give them to my boyfriend’s family for Christmas. 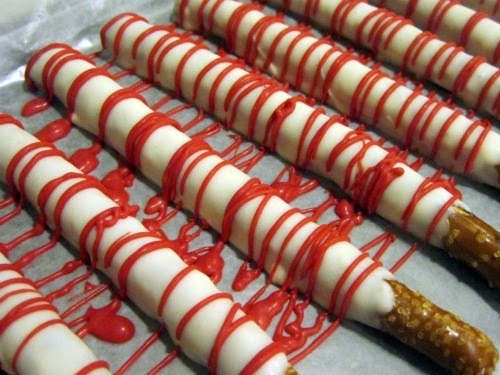 I think the dipped pretzels are their favorite, so I make those every year. Other than that I usually rotate a few different recipes plus I like to try a least one new treat every year. 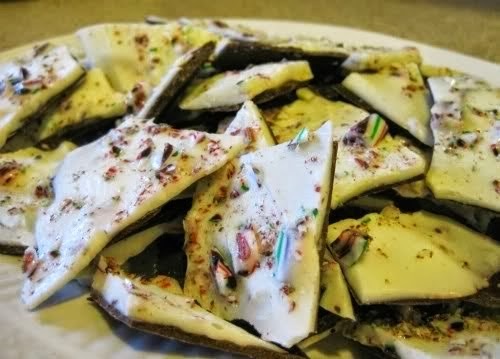 This year I think I’m going to make the dipped pretzels, this saltine cracker toffee (pure deliciousness), and I’m going to try this cowgirl cookie bark. Plus I’m going to bake some dog treats for all of the dogs in the family. I usually use this recipe, but I think I’m going to try these pumpkin peanut butter treats this year. So that’s what I’ve been up to in December for the past three years. It’s been fun looking back at what I’ve been up to during the past three holiday seasons. Your artwork looks amazing, a surprising colour combination, but they go great together. What is it those pretzels are dipped in? The pretzels are dipped in candy melts. They are a lot easier to work with vs. trying to melt chocolate.